While hunting has many aspects and different factors that will lead to a good hunt, one thing we can all agree is key is your hunting clothes. You don’t want to show up in the woods or wherever you might be hunting in flip-flops, shorts, and a tank top. The Three Layer guidelines is a probably the best way to have an efficient and comfortable hunt out in the field. Layers are the most efficient way to manage your comfort level in the wilderness. One major thing to remember before getting into this is cotton is NOT your friend in the wilderness. For a lazy day chilling at home sure, but cotton does not have a place when it comes to the elements and extreme conditions. Moving on, one thing to keep in mind is your location, what season you are in, and what type of hunt you’re getting into will all need to be kept in mind while choosing your clothing. The first layer is easily the most important; this layer should fit you nice and snug. It should also be made from a material that wicks away any moisture from your body. There is a vast market out there that consists of hi-tech materials and most of them are pretty good. 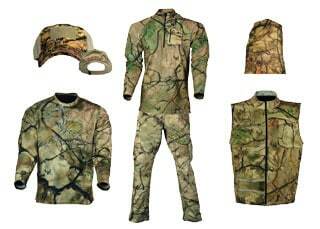 Under Armour hunting clothing the go to and is one of the best out there when it comes to these hi-tech materials. Traditionally the main material was wool, but do you want to endure the itching and scratching that wool brings on? I know I sure don’t. Personally, the second layer for me is normally some fleece. With fleece combined with the first layer is a perfect combination. For warmer days, hunting in just these two layers is fine. Fleece is lightweight, breathable and also rugged enough to be your outer layer on hot summer day. You don’t want anything too thick on a warm day as that can cause raised body temperature and this will take away from your comfort level big time as well as it can be a safety hazard. Heat Stroke is not fun. The third layer, in all three layers, fits the majority of my hunting needs but in more extreme conditions more may be needed. This layer is the final one. Water and wind proof are the most important on this layer. Again, there are many Hi-tech materials for this and is the way to go. Most of these are rugged, lightweight, and breathable. You may keep this layer in your pack unless or until it is needed during the hike and that could help you make a decision on what to get for your hunt. There are three other things you do not want to forget such as a good hat, boots, and gloves are key. I would think most people can agree these are just as important as the three layers of clothing. Again; consider the season your geographic location. Again I will bring up comfort. When crossbow hunting it’s essential not to have clothing that is too loose, you don’t want anything snagging when you are un-slinging your favorite crossbow. 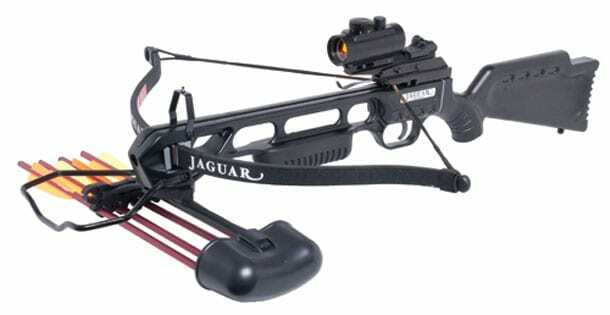 Personally, the best crossbow for the price is the jaguar crossbow, lightweight, and a powerful hunting weapon. 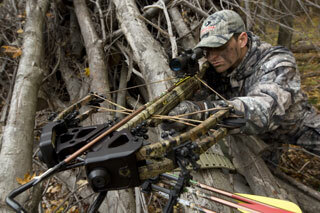 When it comes to crossbow hunting, you can do this in many different places and environments. There is a huge selection of camo out there, so it is simple. Search for something that blends with the area you are hunting in. Do some research and get the best deal for your money as there is just so many options. Don’t get the first thing you lay your eyes on. Be thoughtful and get what is going to suit you best for where you are and the time of year. If you follow these steps, you will see that comfort will not only help you enjoy your hunt but with the right gear also improve the probability of you scoring that kill!